One of the big “breakthroughs” for VR at CES this year was the improvement of the HTC Vive’s chaperone system with the addition of a camera. 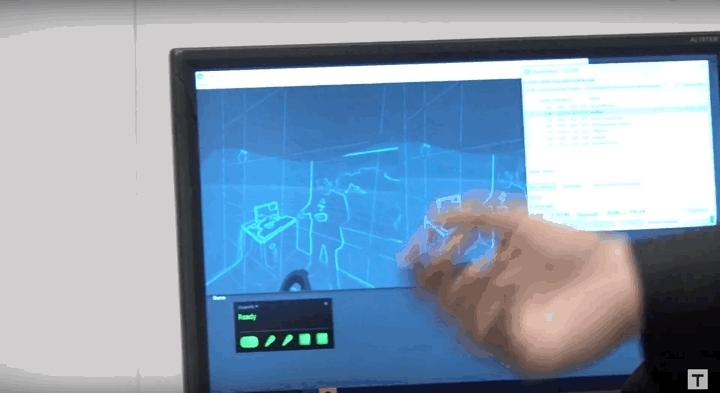 The camera overlays a kind of Matrix vision of the real world over top of the virtual one, allowing you to do things like pick up a glass of water, or find your chair to sit down, without taking off the headset. In our hands-on we found the new system to be a big improvement over what existed before, but despite our efforts we unable to get any images of the mode from HTC or Valve. Our friends over at Tested however managed to sneak a couple seconds of clear footage into their review video that went live today. Basically, what is happening is the camera on the headset is being used in conjunction with software to detect and highlight the edges of objects, it also is able to do a little bit of surface detection as well which fills in things like the seat of a chair. We will have some more HTC Vive stuff coming later so be sure to check back!